Oh my goodness, have you ever seen anything so sassy? And the dress is pretty cool too. I kid, obviously; there’s nothing sassy about me currently sitting in my bed wearing gym leggings with no chance of actually attending the gym, whereas this dress is 100% sass. 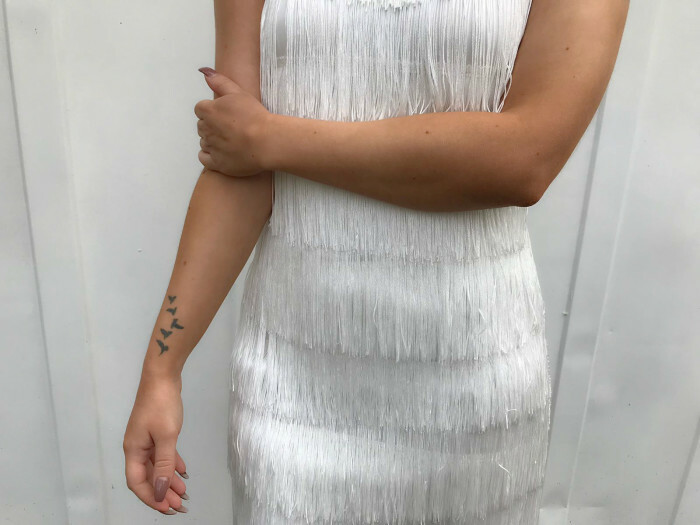 I was super kindly sent a couple of dresses recently from Pretty Little Thing, and one of them was this amazing tasselled mini. I almost went for the black version because autumn/winter is approchin’, but then I decided that there was no need to put away the light colours just yet (especially when my fake tan game is still strong) and I could embrace some white and denim for a wee while still. This is obviously a statement dress and, teamed with some heels and equally statement earrings, is the perfect going out outfit. However I also love the cooler, dressed-down vibe that you automatically get with a denim jacket. 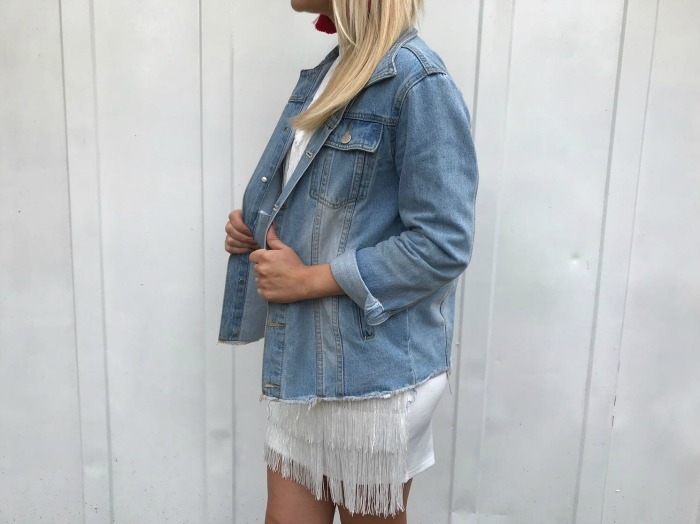 This Boohoo one has served me incredibly well since I bought it at the start of the year, and I think it completely transforms the fringed dress into something more casual (or as cas as you can get with a backless bodycon mini anyway). 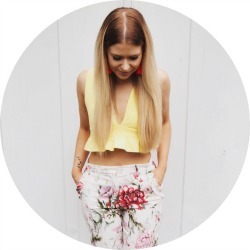 The red tassel earrings – still my boyfriend’s most hated item in my wardrobe I think, heehee – also add an extra summin’-summin’ to the outfit. I love how by putting them on they instantly take something that would otherwise be very dressy and formal and make it fun. Kind of like tequila in the form of an accessory, you know? Yeah, you know. I’m in LOVE with this dress, but it was actually incredibly hard picking just three from PLT because their collection of dresses is honestly something else right now. 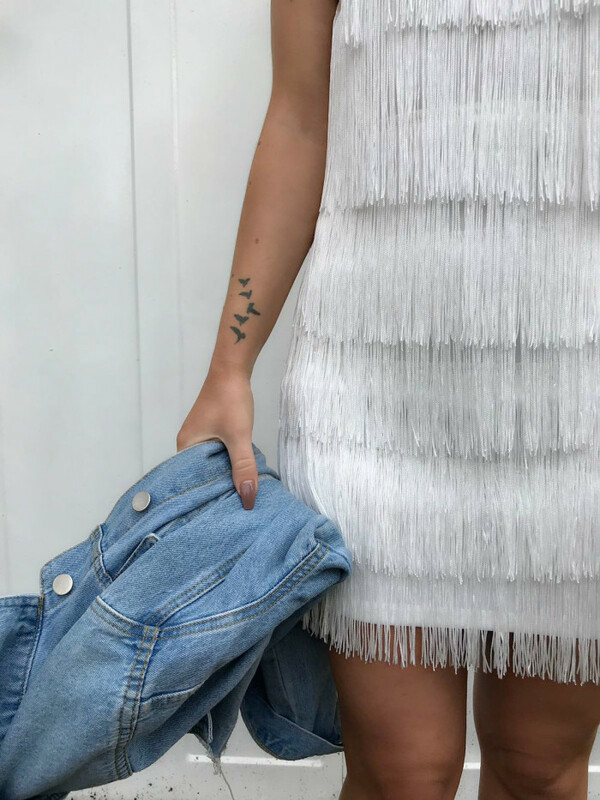 From off-duty t-shirt dresses to going-out numbers like this one – and not forgetting their new range with Kourtney Kardash, OH MY – they’ve got so many amazing options at really reasonable prices. What do you all think of this dress? Let me know in the comments! That is such a stunning dress, I imagine that it would be perfect for the festive period and Christmas parties! GIRL, you are rockin this look! I love a good bit of fringing, I bet it’s also amazing in black.